This entry was posted in birding, birds, hummingbirds, identification and tagged birding, birds, birdwatching, feeding birds, hummingbirds by Sheri. Bookmark the permalink. 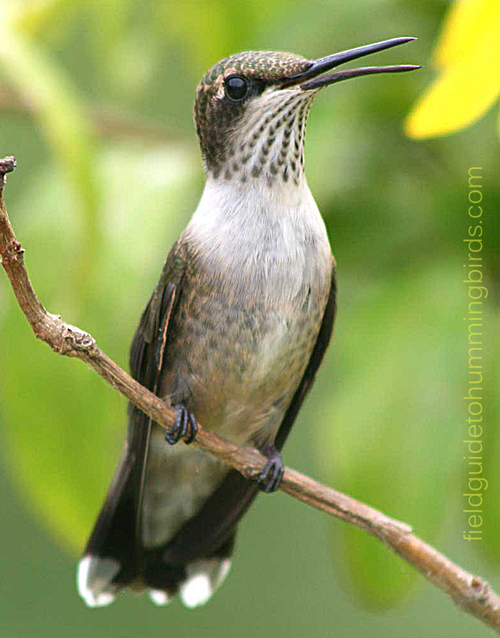 Your post certainly confirms the overall theme of my last three posts on hummingbirds. I have a particular female who holds her own against all comers, male or female but she actually shows no aggression at all when not taunted. As you also mentioned, I have had for sometime an extremely aggressive adolescent male who has pretty much ruled the feeder except for the fore mentioned female who is allowed to come and go as she pleases. Oddly enough, this past week when I did a post on the young male believe it or not the next morning he was gone and an even more aggressive adult male had taken over. The young male has never returned so he adult male must have really given him the once over. Here’s a link to my last post regarding the adolescent male preceded by a post on the female and another on her feeder standoff against an aggressive adult male.